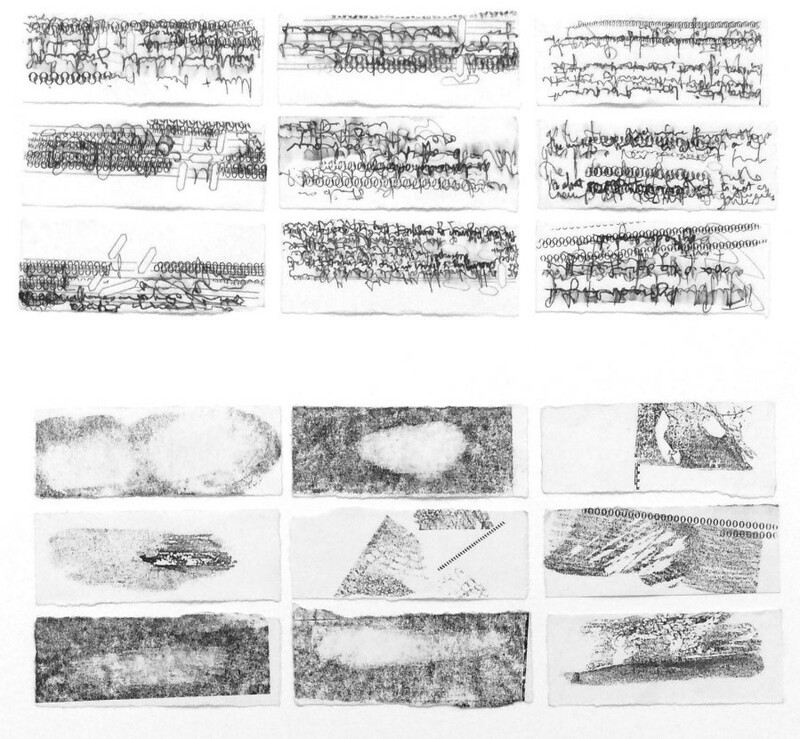 This paper presents a practice-led investigation Ballycastle Vignettes inspired by Cy Twombly’s Poems to the sea to revisit drawing/writing, asking how it communicates subject. The investigation employs wonder to review conventions by utilising drawing/writing as a poetic method to impinge and extend interpretative devices. Ballycastle Vignettes questions the bearing of wonder upon the construction of subject matter(s), which are proposed by the paper as multifaceted arising through a type of dialogue that talks to, and of the phenomenological experience of making. This looks to Hélène Cixous avocation of drawing as a living subject questioning the mark as an indexical shifter, a term coined by Michael Newman that unites circumstance to action, and it’s reading. The drawing/writing practice is argued as talking of (and back to) a variety of contexts, frameworks and conventions privileging Nicolas Davey’s theoria (2006) as uniting theory and practice in dialogue. O'DONNELL, Lucy Mae. Arousing Wonder. TRACEY, [S.l. ], v. 13, p. 1-16, nov. 2018. ISSN 1742-3570. Available at: <https://ojs.lboro.ac.uk/TRACEY/article/view/2568>. Date accessed: 20 apr. 2019.